Preheat oven to 300 degrees. Cut pumpkin, according to how you’ll be using it. 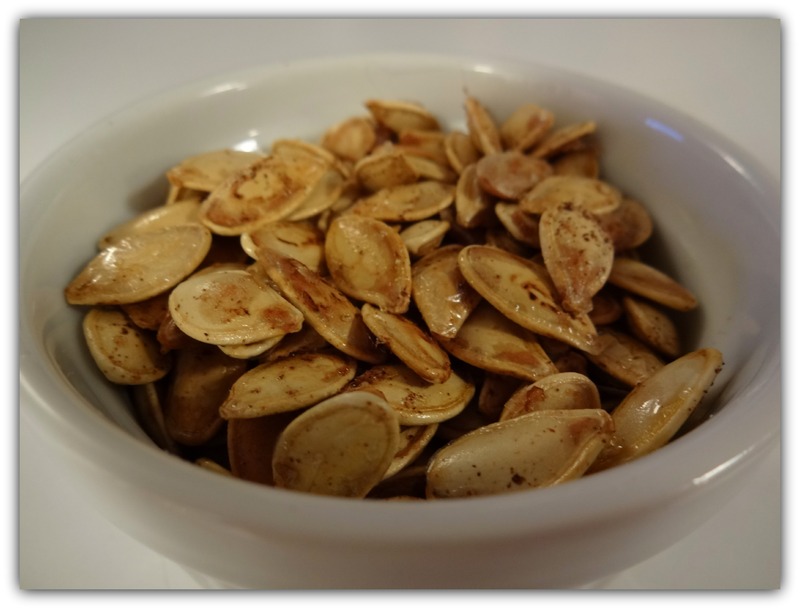 Scrape the soft pumpkin innards and the seeds into a bowl. Pull the seeds from the pumpkin meat with your fingers (This is a great task for kids to help with!) and then place the mostly clean seeds in a colander and clean off the remaining squash meat under cool water. If a little squash meat remains, they’ll still turn out just fine. Pat seeds dry (paper towels work) then lay them on a baking sheet lined with a baking mat if you have one, or foil. Drizzle seeds with olive oil or melted butter, and sprinkle with salt and spices. Toss the seeds with the oil and salt on the baking sheet, until evenly coated. Place in oven for about 25 minutes, or until seeds start to brown. Remove from oven, let cool, and enjoy. Want to try something different? 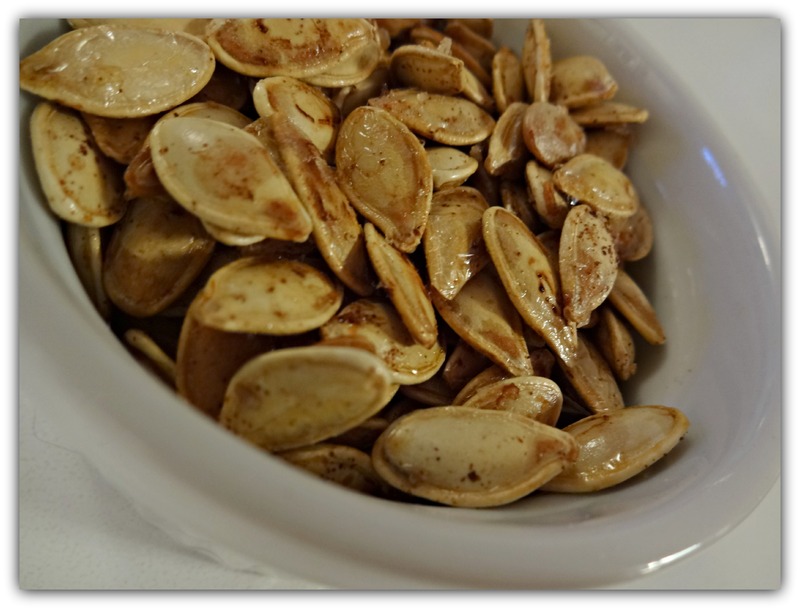 We found a great Chili Lime Roasted Pumpkin Seed recipe from the Austin Gastronimist. Optional – garlic powder, cayenne pepper, or cinnamon and sugar. Have fun. Get creative. This entry was posted in Useful Tools and tagged HIC Oven-To-Table Porcelain, Pumpkin, Recipes Using Super Foods, Roasted Pumpkin Seeds, Seeds, Squash on October 26, 2013 by HIC, Harold Import Co..
With summer in full swing, a cool treat is always appreciated. We explored venturing beyond our traditional ice cream recipes, and pulled in a few nutritious ingredients to make this rich, chocolatey cacao, almond milk, and banana ice cream. Any sweetener of choice can be used in this recipe, but we found that honey and agave nectar both pair well with the rich tasting cacao. This ice cream was made using a blender and frozen bananas, which is great if you want to get this dessert on the table quickly. If you have an ice cream maker you could first blend all ingredients at room temperature, then transfer to an ice cream maker to freeze. Place almond milk, cacao powder, and honey or agave in blender and pulse to start mixing slowly. 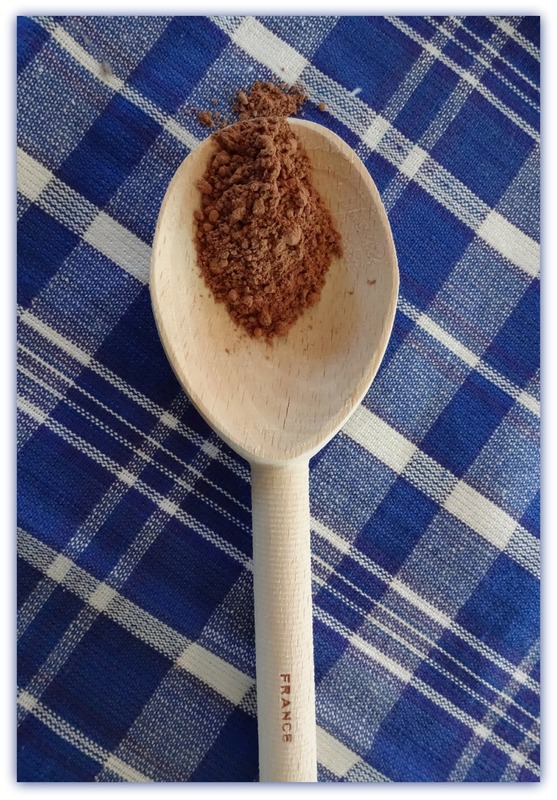 Turning on high power without slowly mixing the cacao powder into the liquid first can cause it to shoot upwards in a cloud of cocoa dust. After almond milk, cacao powder, and honey are mixed gently, increase speed for a few seconds and mix well. Add frozen banana pieces, and pulse to get them moving. Then blend on high until the banana chunks smooth out and an ice cream consistency results. Serve at once, and sprinkle with additional cacao powder if desired. The deep chocolate taste is downright decadent. *Hot weather tip: If you’re in an especially warm climate, or warm kitchen, ice cream can start to melt quickly after served. Try pouring into chilled ice cream cups (store them in the freezer) to help keep ice cream from melting quickly. We appreciate our readers, and are interested in hearing more about your culinary adventures. Drop us a line and share what you’re experiencing! We’d love to hear your thoughts, anytime the mood strikes you. This entry was posted in Useful Tools and tagged Almond Milk, cacao, chocolate, ice cream, Mrs. Anderson's Baking Tools, Recipes Using Super Foods, Sweets, Tools Exclusively from HIC Harold Import Co., useful tools on August 15, 2013 by HIC, Harold Import Co..
Homemade almond milk is delicious, nutritious, and so easy to make. You only need a few tools and two ingredients to make classic almond milk. The recipe shared in this post is from a wellness focused friend of mine, who showed me how to use it as a base for smoothies, to add moisture to baked goods, and on oatmeal. (And there are many other uses, including simply enjoying the almond milk’s simple goodness in a tall frosty glass.) The taste is mild, with a different creamier mouth feel and richer flavor than store bought varieties. Once you try homemade almond milk, you’ll see what a delight it is! Almond milk can also be helpful for those who are lactose, soy, or gluten intolerant, as it doesn’t contain any lactose or casein, a milk protein that’s similar to gluten. Almond Milk Recipe – Makes about 3 cups, using the 1 cup almond to 3 cups water ratio described below. If you prefer a thicker milk, you can also try 1 cup almond to 2 cups water ratio. Soak almonds a minimum of 8 hours or overnight, so they are totally submerged. You’ll notice they plump as they absorb water. Note, the longer the almonds soak, the creamier the almond milk. They should feel soft when you pinch them, after soaking. Drain and rinse the almonds thoroughly under cool water using a mesh strainer, after removing them from their soak. 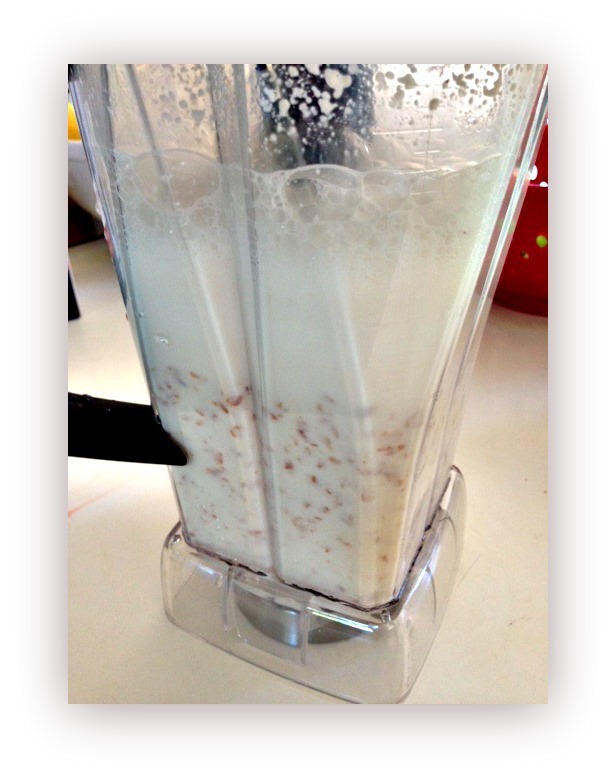 Put the soaked almonds and 3 cups fresh water in a blender. First pulse the blender, to get the almonds equally broken and prevent clumping. Then blend on high about 1-2 minutes, until the liquid inside is white and the almonds are broken into fine meal. In the picture here, the almonds were not fully blended yet, as you can see by the still large visible brown almond pieces. Pour the almond mixture through a double mesh strainer or nut milk bag, set into a bowl placed below. Use your hand to press all the almond milk from the almond pulp that’s left in the strainer, or if using a nut milk bag, lift the bag up out of the bowl and squeeze the liquid out of the remaining pulp. Now is the time to sweeten if desired. Taste the almond milk first, as you might enjoy it just as-is, without sweetener. To add sweetener, rinse the blender and place the strained almond milk back into the blender, and add a tablespoon of honey, agave, or sweeter of choice, blend to mix through about 20 seconds, and taste. I’ve added 2 tsp. cinnamon and it adds a delicious flavor. 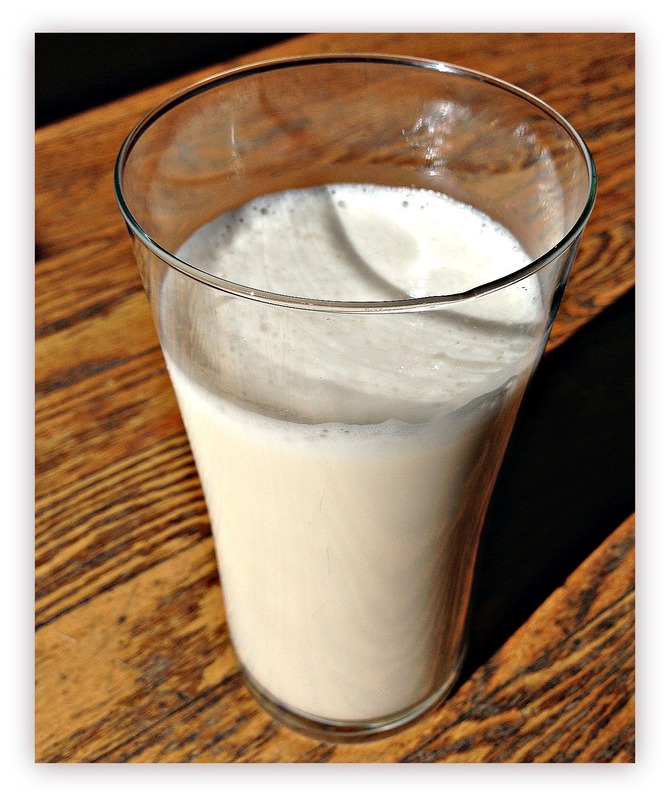 Fresh raw almond milk keeps in the refrigerator for about 3 days unless cooked to pasteurize. Using the leftover almond meal collected in the basket of your strainer or nut milk bag: The leftover almond meal can be added to hot cereal, or baked goods as is. You can also spread it out on a Silpat baking mat, on top of a baking sheet and bake it in a low oven until completely dry, and then use in baked goods the same as you would with store bought almond flour. Other ideas to put that leftover almond meal to use? We liked this recipe for Raw Cookie Dough Bites from the Detoxinista. This entry was posted in Useful Tools and tagged Almond Milk, Double Mesh Strainer, Nut Milk, Nut Milk Bag, Paleo Recipes, Raw Food Recipes, Recipes Using Super Foods, Tools Exclusively from HIC Harold Import Co., Vegan Food Recipes on July 26, 2013 by HIC, Harold Import Co..
One of the first cultivated fruits, the pomegranate offers a unique, sweet-sour taste that is ideal for nibbling on alone or incorporating into cooling drinks, vegetable salads, tart stews, soups and desserts. The pomegranate boasts high levels of antioxidants in the form of polyphenols, tannins and anthocyanins, all designed to help you stay healthy and strong by fighting those free radicals that can cause certain diseases – and premature aging. But, getting to the heart of the pomegranate and those tiny seeds (called arils), which are the key to those antioxidants, can be a bit frustrating. The arils, which are surrounded by a shiny, tough, white membrane, can be hard to remove — and often quite messy, Working ones way though the ruby juice and seeds can be an act of devotion – an act that might cause one to throw up their hands and give up. But don’t give up on the delicious taste, versatility, and healthfulness of the pomegranate just because you think it is too much work. It is often suggested to submerge a halved pomegranate in water in order to more easily remove the arils, and more importantly, prevent splatter of the ruby red juices. But, I find this still a bit messy and also a bit cumbersome. The new Pomegranate Tool is a quick, clean and easy way to remove those sometimes stubborn arils. Here’s how it works: To start off, roll the pomegranate on the work surface to loosen and soften the fruit. Then remove the crown and cut the fruit in half. Place the halved pomegranate face down in the grid, and cover it with the flexible dome, holding the dome tightly against the bowl. To remove the seeds, strike the dome firmly, using a heavy spoon. (The arils will be deposited into the bowl beneath.) If any of the membrane breaks free, it can be easily picked out from the bowl of arils. If desired, rinse the seeds first, and then enjoy. The three-piece set, which includes the dome, grid and bowl, is easy to clean by hand or in the dishwasher. Pomegranates are typically available in the fall and early winter. For maximum flavor, look for fruits that are rich in color and are heavy, as they will hold more juice. If, when pressed, powdery cloud puffs emerge from the crown, the fruit is most likely dry. You probably will eat them immediately, but if you must store them, keep them whole in the refrigerator for up to three months. The seeds, when stored in an airtight container in the freezer, can also be kept for three months. Find a Pomegranate Tool to take home, here. See The Pomegranate Tool demonstration from the HIC booth, at the International Home + Housewares Show. Versatile and Tasty These little gems are great on their own as a snack, tasty when added to yogurt or granola, and a sweet addition on top of ice cream or salads. They add texture, color and a burst of flavor to just about anything you add them to. Once you’ve started eating them, it’s hard to get out of the pomegranate habit. And, the Pomegranate Tool is a handy way to help you enjoy all the flavor and goodness without the struggle. Laura Everage is a writer, editor, swimmer, yoga-lover, wife, and mother of four. Her days start very early in the morning, but thanks to her favorite beverage, coffee, she is able to start each day on a good note. Laura began her journey in all things food and beverage related nearly 20 years ago, as Managing Editor of The Gourmet Retailer. She continues to write about food, coffee, tea and kitchenware and is currently working on a book entitled Courage in a Cup: Women, Coffee and the Global Economy. Laura is also founder and editor of her own website, Family Eats, and is editorial director/partner of Coffee Universe. Her work has appeared in a variety of trade magazines as well as consumer publications Saveur and Consumers’ Digest. Laura’s knowledge of the industry has landed her appearances on both the Food Network and Fine Living Network. To contact Laura, email Laura@familyeats.net. 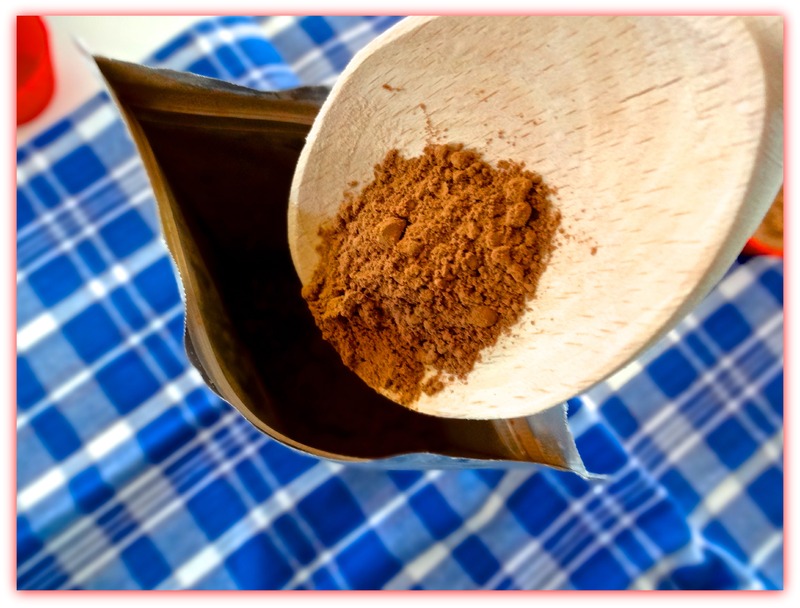 This entry was posted in Useful Tools and tagged HIC, Laura Everage, pomegranate, Recipes Using Super Foods, Tools Exclusively from HIC Harold Import Co., useful tools on April 4, 2013 by Laura Everage.